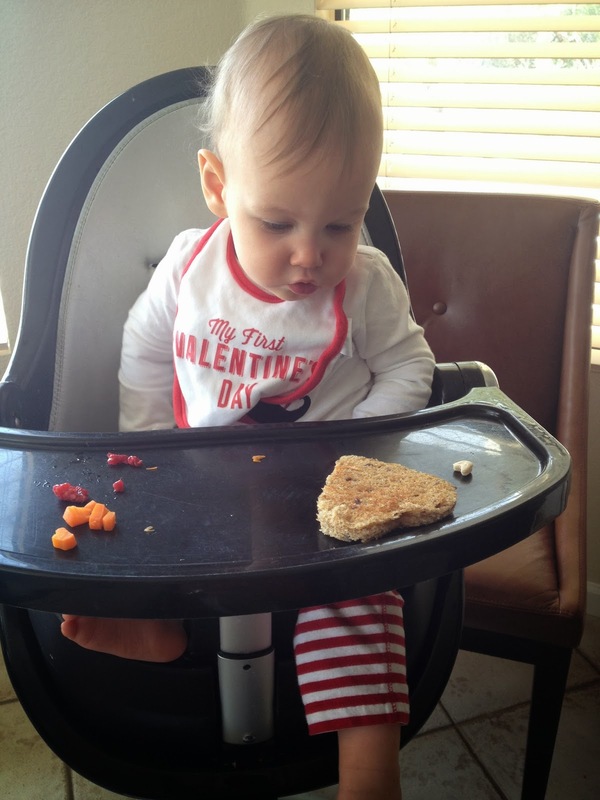 Parker woke up extra early on Valentine's Day morning (obviously super excited about the day, just like his mamma!). 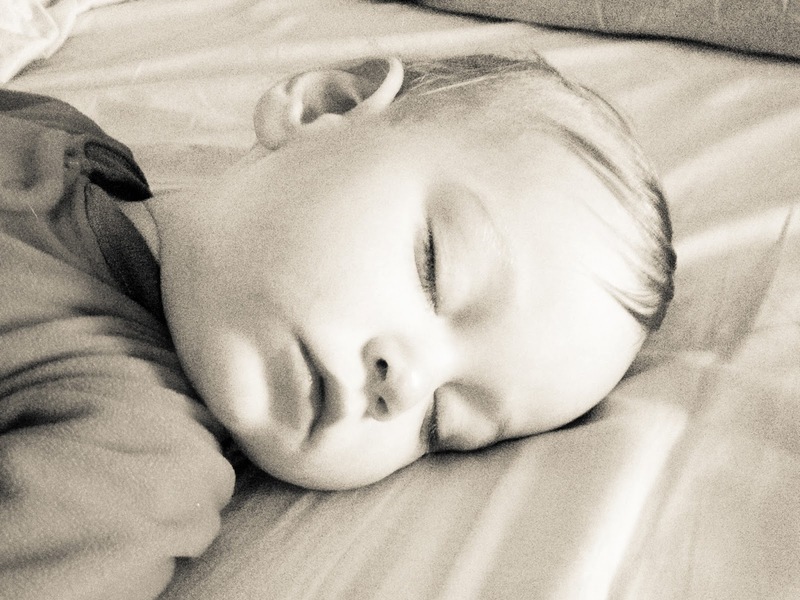 I always bring him down to my bed to nurse him and then we usually play in bed and read books. He was a sleepy head though, and took a little snooze first! 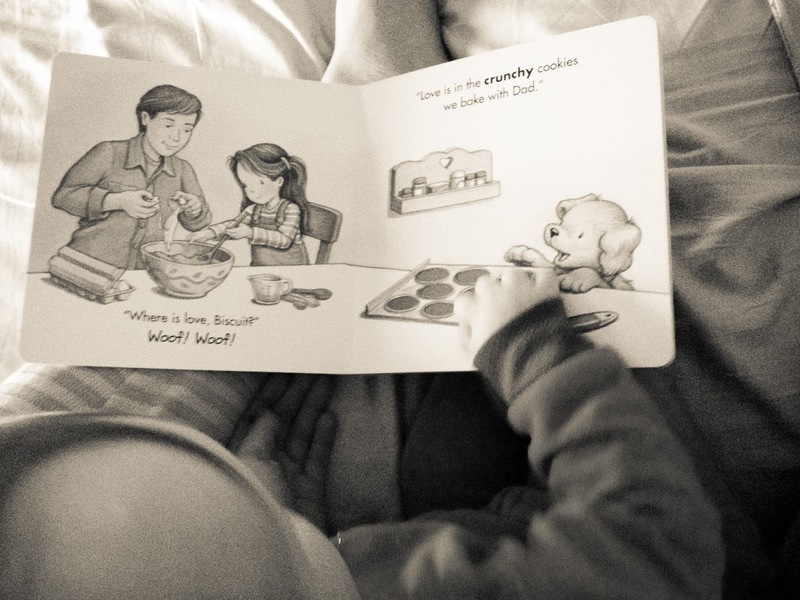 After he woke up, it was time for books (Valentine and love themed ones, of course!). Where Is Love, Biscuit? has been a favorite lately with it's fun touch-and-feel pages. 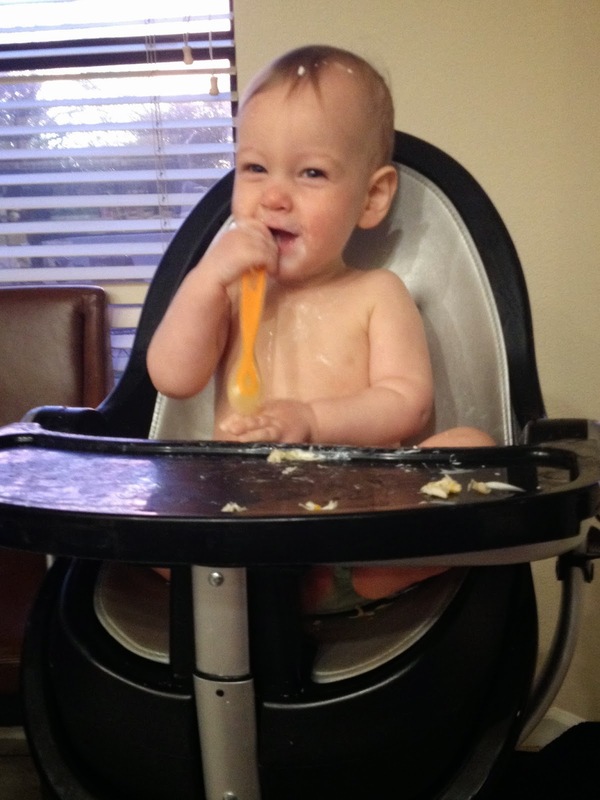 Then it was breakfast for little man. 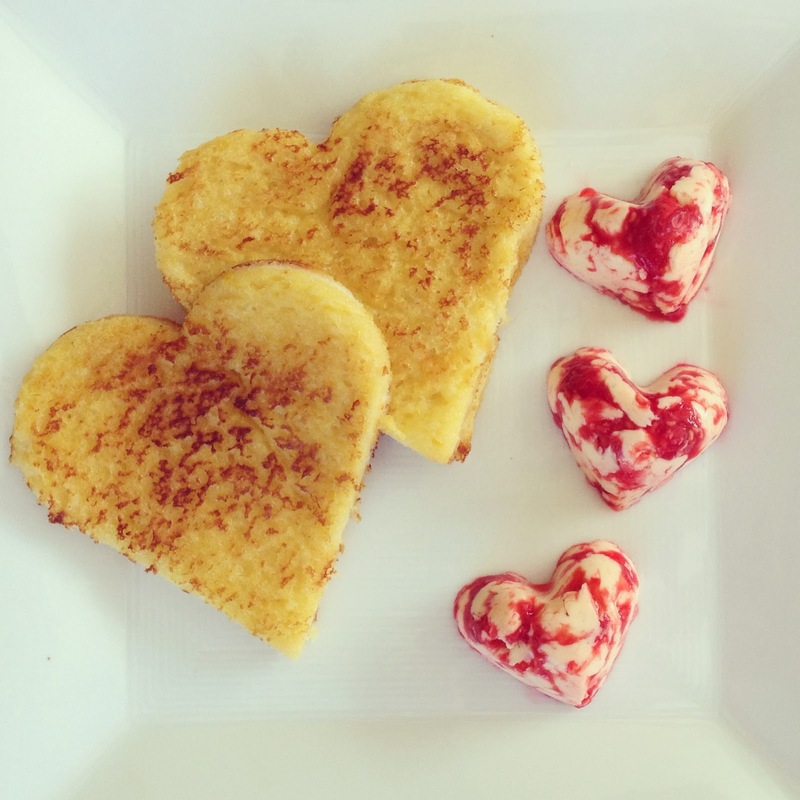 Once he went down for his real morning nap, I whipped up a yummy Valentine's breakfast of french toast and berry butter (thank you, Pioneer Woman!). I had actually made the berry butter the night before. The Pioneer Woman rolls hers into logs and cuts them into discs, but I just spread mine into silicone heart ice cube trays, which worked perfectly! 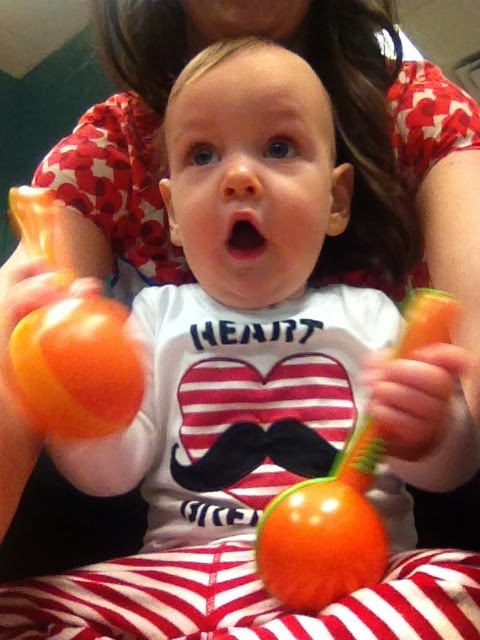 Once little man was up from his morning nap, it was time to head to Musicology where we sing, dance and play instruments. Clearly, the shakers are delicious there. 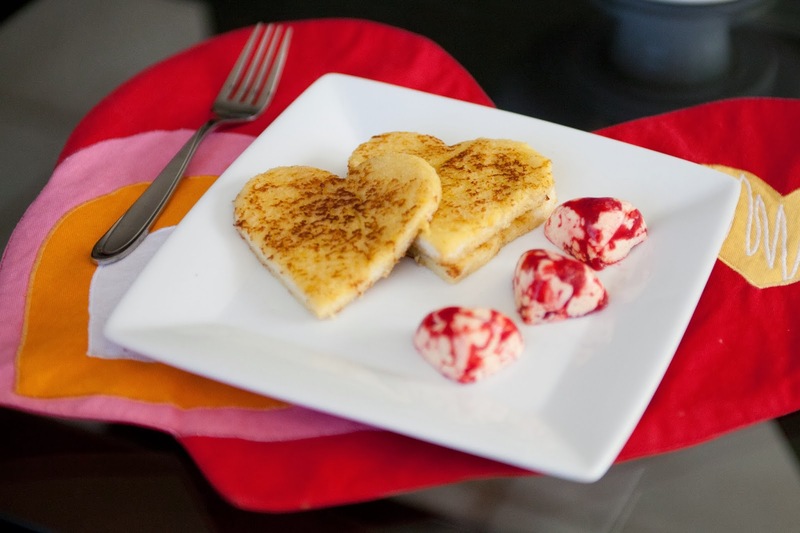 Back at home, lunch for Parker was grilled cheese, raspberries and steamed carrots. 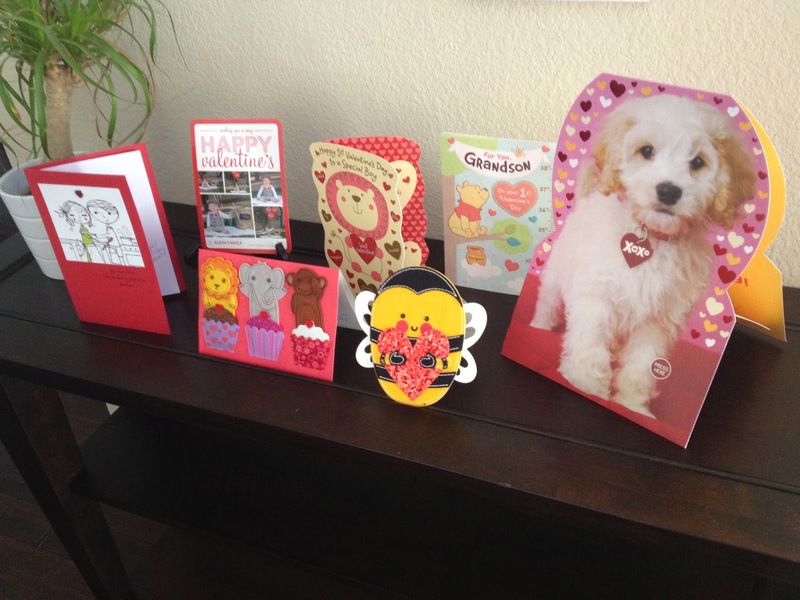 After lunch, Parker took his afternoon nap and them it was time to read our valentines! 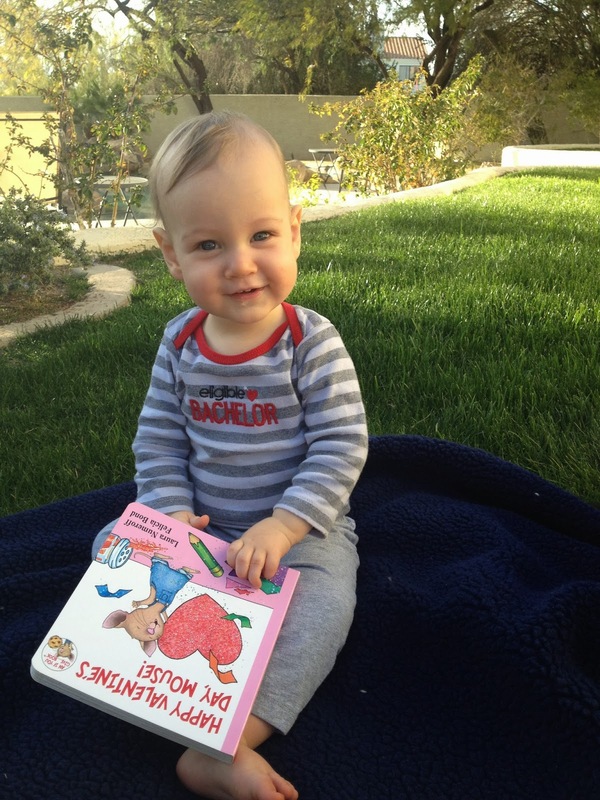 We ended the afternoon with some reading outside and a walk around the neighborhood (notice the outfit change, Parker's first set of clothes did not hold up to those raspberries!). We so missed dadda (who had been away on business travel) but even so, my heart is so full! 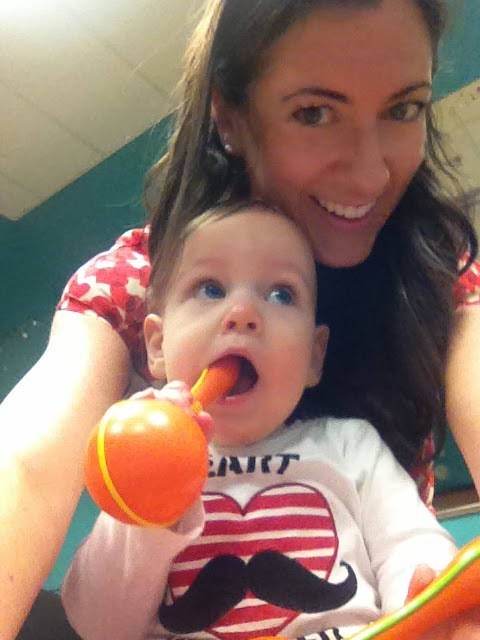 It was a perfect day with my littlest valentine!